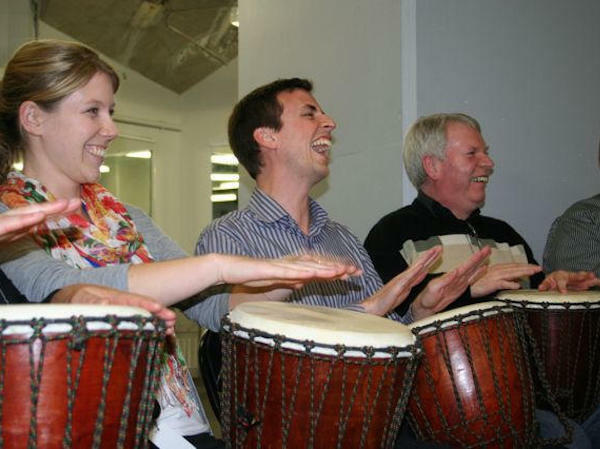 After experiencing a Rhythm of One drumming “playshop”, participants are left feeling energised and engaged and a lot more “in-tune” with their fellow team mates. 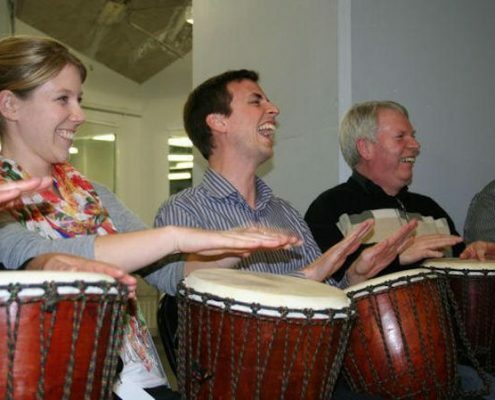 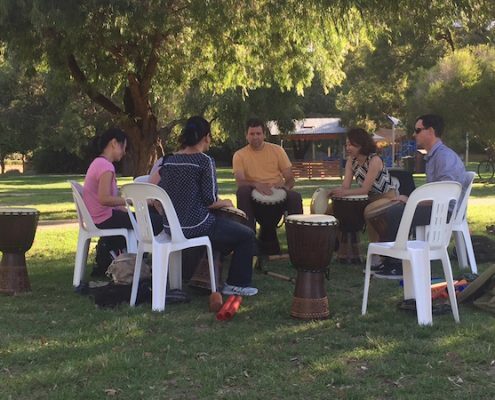 It’s time to beat as one in this highly interactive corporate drumming program. 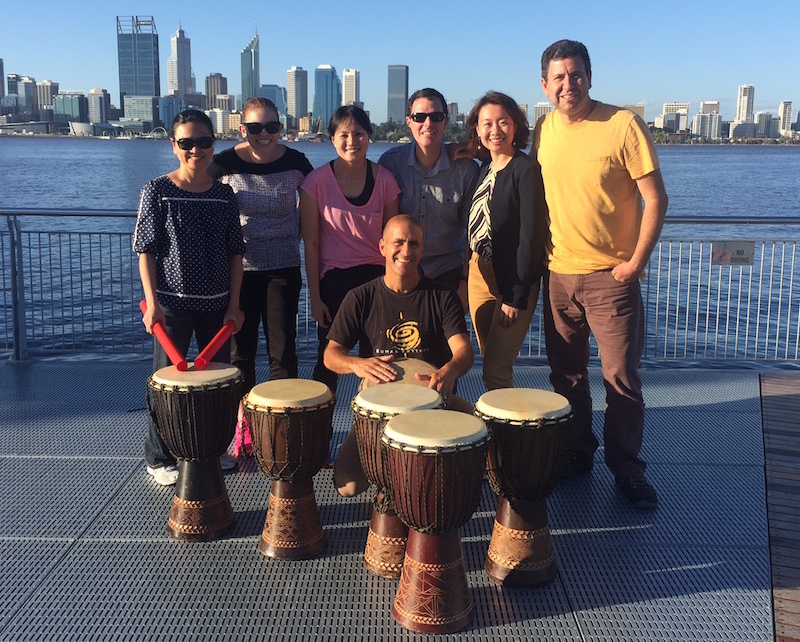 The goal of this program is to create a musical masterpiece. 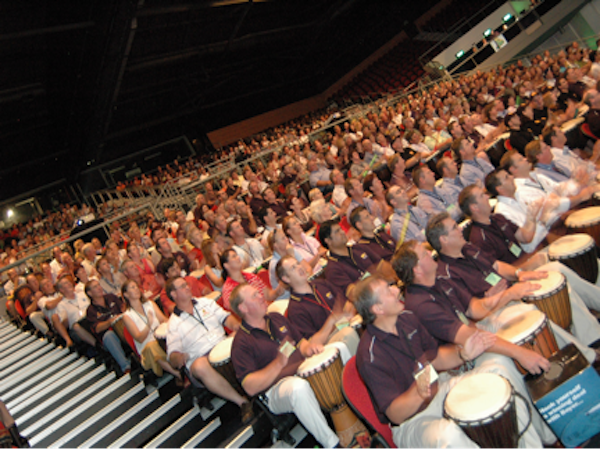 The activity starts off with the team leader conducting an outline of the day and introducing delegates to the drums / percussion instruments. 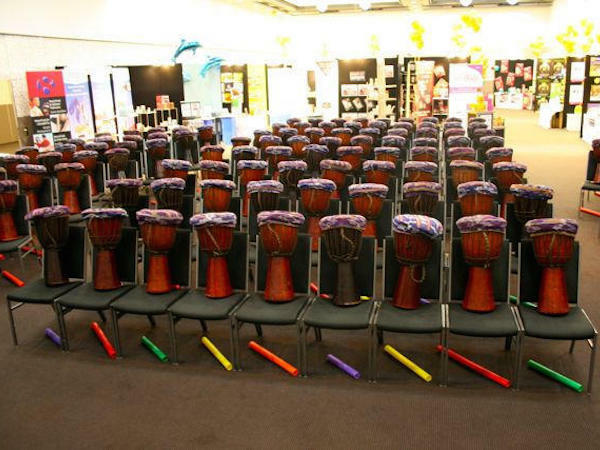 After a small workshop where delegates will learn different rhythms teams will be created. 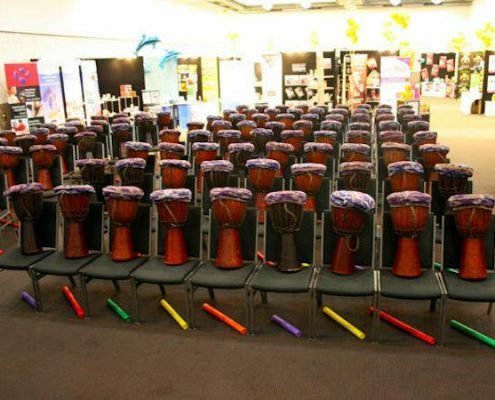 It’s at this point that they are told that they need to create their own team rhythm which will be performed in front of the group. 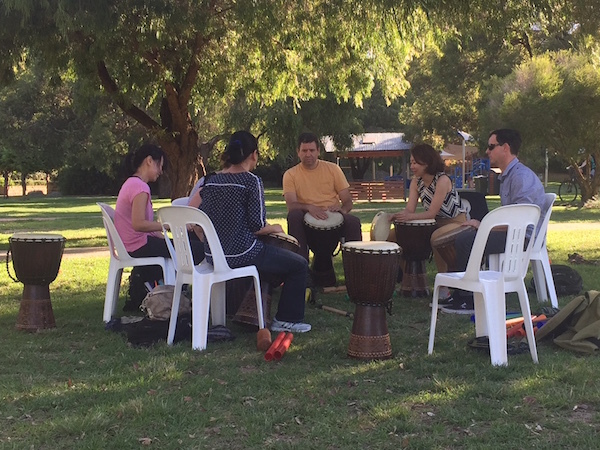 After all performances, the facilitator will bring all teams together and will issue the task of playing together as one whole team to create the rhythm of one. 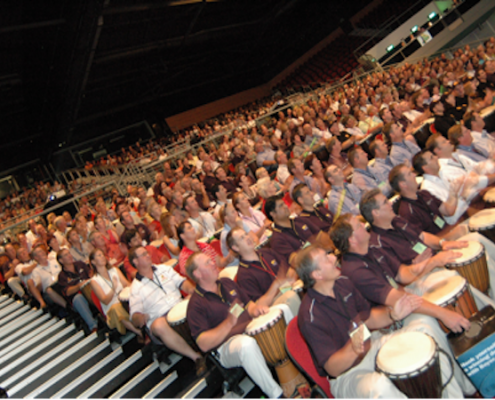 The facilitator will masterfully conduct the individual teams into one musical masterpiece.